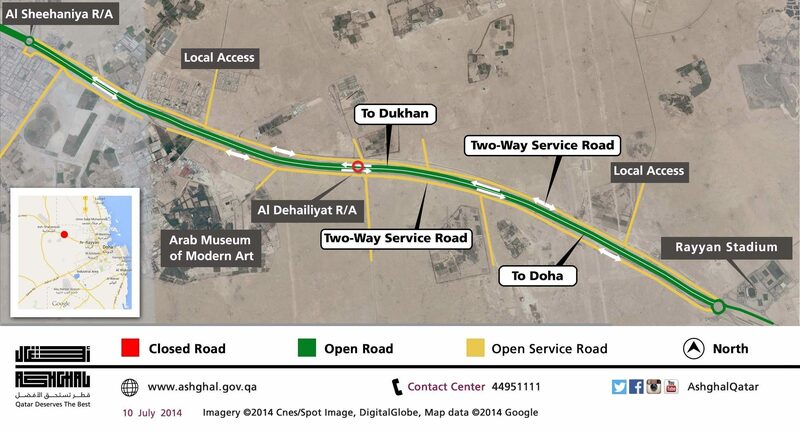 A 9km stretch of the new Dukhan Highway has been opened after three years of roadwork, following the completion of the second phase of re-construction of the arterial East-West route between central Doha and Dukhan, Ashghal has announced. The new expressway between Al Rayyan stadium roundabout and Al Shahaniya now has four lanes in each direction, hard shoulders and a two-lane service road, the public works authority said. Cycle lanes and two camel underpasses have also been installed as part of the upgrade. The work is part a QR1.4 billion ($384.5 million) redevelopment of the old dual carriageway, which is a key route between Doha and Dukhan, a city 60km to the west of the capital, where Qatar Petroleum has a base. Hamad Medical Corp.’s Cuban Hospital and a popular beach are also located there. 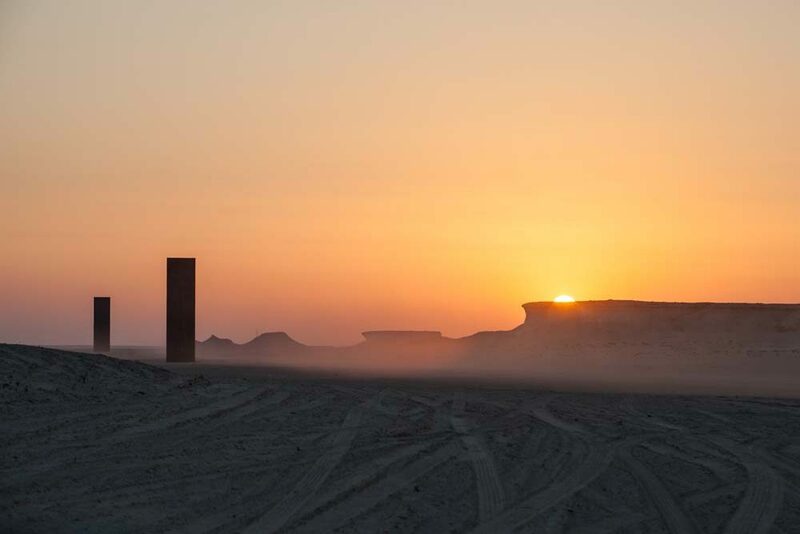 Additionally, the new towering Richard Serra sculptures in Zikreet are just off the Dukhan Highway. Ashghal’s Dukhan Highway Central project involves upgrading 15km of the road between Al Wajbah interchange and Al Shahaniya, to improve access and safety on the old two-lane carriageway, which was often the scene of accidents. Previously, the road was littered with potholes and broken in places. As part of the safety measures, a 120km speed restriction has been put in place for the new stretch of road. The new route is likely to be a welcome development for those living in Al Shehahiya. That area holds a number of attractions, including the camel race track, an oryx farm, Al Samariya equestrian center and Sheikh Faisal bin Qassim Al Thani’s private museum. Last month, Ashghal announced the opening of the first phase of the development – the Al Wajba underpass interchange, which provides access to Al Wajba, Al Seej and the Amiri army camp. 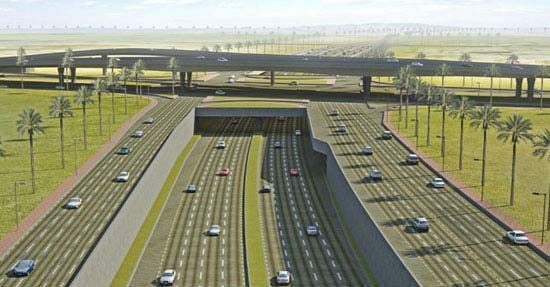 The Dukhan Central Highway project, which began in April 2011 and is expected to be completed by the end of 2016, also includes the construction of two underpass interchanges at New Wajba and Al Dehailiyat Army Camp. Additionally, a new, major multi-level interchange “Rawdat Rashed” will be built at the junction of Celebration Road to accommodate access to Al Rayyan Stadium and the under-construction Mall of Qatar, which is due to be open by late 2015. Other infrastructure improvement works in the area include upgrading water and sewage supply as well as electrical and communication cabling for the surrounding communities, Ashghal said in a statement. This newly-built section of the Dukhan Highway will eventually improve road access straight through to central Doha, as works are ongoing on the Highway East project, between Bani Hajer interchange, slope roundabout and Gharrafa roundabout. This QR3.7 billion project, due to be complete by mid-2017, should make significant improvements to traffic flow around this busy area which includes Gharrafa, Education City, Qatar Science and Technology Park and Sidra Medical and Research Center.